Ancient nutrition that provides a super-boost of nutrients, vitamins and minerals making it a great addition to a healthy diet. 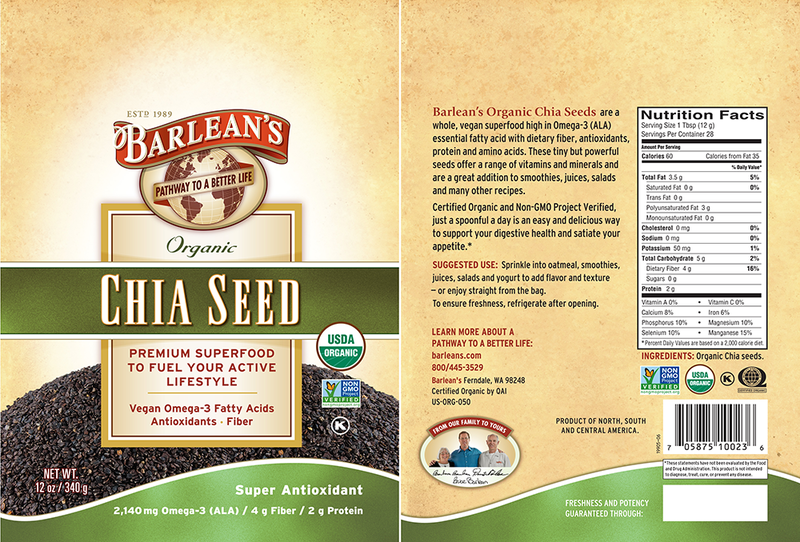 These tiny “super seeds” were revered by ancient Mayans, Incas and Aztecs as it’s said the high fiber content created a feeling of fullness, while the stores of protein, minerals and Omega-3s provided fuel for all-day runs by tribal messengers. 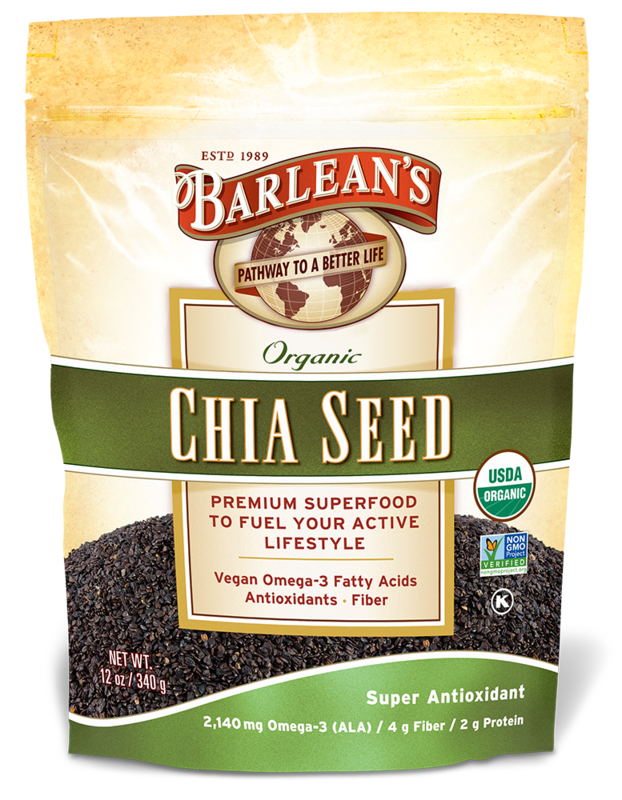 Used today by endurance athletes and health enthusiasts alike, Chia seed is a great addition to a healthy diet. 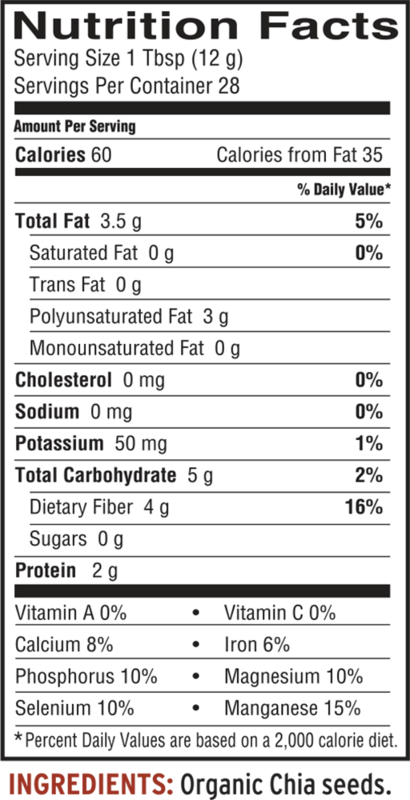 In fact, it’s so mild-flavored you can add it to almost any dish without altering the taste with the added boost of nutrients, vitamins and minerals. So, go ahead and throw them into your next smoothie, glass of juice, salad and more!